At the law office of John Elledge & Assoc PC in Harrisonburg, Virginia, we are fully committed to providing the highest level of advocacy and support you need for your most important legal challenges. Staffed with a diverse team of some of the most talented and experienced legal professionals in the industry, we can handle your needs regardless of how complex or challenging. Most of our team members are fluent in Spanish, so we can more effectively communicate with our Latino clientele. Personable and compassionate, we will work closely with you to deliver the personalized attention your case deserves, and we will remain with you throughout all legal proceedings to ensure we help you achieve the best possible outcome for your situation. From this level of service and dedication to those we serve, our law firm has become one of the top general legal practices in our region, and we are proud of the long-lasting relationships we have developed with our clients. 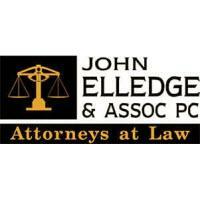 To discuss your specific needs with one of our dedicated attorneys, you can contact John Elledge & Assoc PC to schedule an appointment. 8:30 am - 5:00 pm, others by appt.